The Energy Cooperative Offers Generlink™ to Electric Members – A Safe and Simple Way to Connect Your Portable Generator. GenerLink™ is a meter collar device which allows electric members to safely and easily connect a portable generator to their home without risky do-it-yourself rewiring and hazardous extension cords. It’s designed and rated to connect directly to a standard household electric service, located behind the electric meter. When you connect and start your portable generator, GenerLink™ automatically disconnects your house from the electric utility grid. That prevents the possibility of dangerous power back-feeds which can potentially damage equipment and/or harm you and our utility personnel. Get total flexibility and control. Once the generator standby switch disconnects your home from the electric grid, you can simply control which appliances you want to use by flipping the breakers in your existing electric panel. GenerLink™ can be installed in 30 minutes or less by an Energy Cooperative Technician. GenerLink™ is easily installed by an Energy Cooperative Technician, behind a member’s electric meter and requires no rewiring of the member’s electrical system. Two 30 amp models are available with a whole-house surge protection (MA23-S) or without surge protection (MA23-N). Payment options are available. Certain restrictions apply.  Payment can be added to your monthly utility payment made to The Energy Cooperative. Your Generlink™ device will be listed as a separate line item on your statement.